Some years ago, while I was still teaching at the University of Kansas, a colleague stopped by my office to chat. I was kicking back with some music on my headphones at the time; curious, she asked what I was listening to. The Minnesota Orchestra/Minnesota Chorale CD of Mahler’s Second Symphony, Resurrection, is just being released, and I wanted to share some personal thoughts and notes about this astonishing work. That quote perfectly captures essence of Mahler’s music. It is a collision of thoughts, emotions, ideas and sensations that are constantly intersecting and interacting with each other. At times, it’s as if you were reading a story where each paragraph was written by a different author in a different style—such as Shakespeare followed by the Brothers Grimm, Emily Dickinson, William Faulkner, Herodotus and O. Henry. In the end, the cumulative effect is stunning, touching on all parts of the human experience… and vividly recreating the totality of human experience. It is no wonder why so many love his music. Mahler’s music isn’t at all hard to listen to, but it is a wonderfully challenging to fully comprehend it. It rewards—if not requires—repeated listening and conversations to grasp its many layers. The Second Symphony, Resurrection, is a magnificent example of Mahler’s achievement, and one of the easiest to get your arms around. It is a work about loss and a plunge into darkness… before finding inner strength and a renewed hope that allows you to rise to a new level of existence greater you had known before. It is about rebirth and new glory. My Requiem has been said to express no fear of death; it has been called a lullaby of death. But that is how I feel about death: a happy deliverance, a reaching for eternal happiness rather than a mournful passing away…. Perhaps I have sought to depart from what is conventional because for so long I was organist at services of internment. I’m fed up with that. I wanted to do something different. The Requiem—the traditional Roman Catholic Mass sung for the dead—has formed an important part of choral music from the Middle Ages to today. A vast number of composers from Palestrina to Andrew Lloyd Webber have penned a Requiem, even if they weren’t Catholic… or particularly religious at all. It’s easy to see why; the Requiem text, like the ritual it is drawn from, is so broadly recognized that it provides as a easily understood starting point to explore universal questions of life, death, and life after death. Edward Elgar’s The Dream of Gerontius is frequently regarded as his masterpiece—a towering oratorio noted for its complex score and profound religious message. In the autograph score, Elgar wrote the work represented “the best of me,” and countless listeners have agreed with him. It is, quite simply, one of the greatest spiritual dramas ever written. Gerontius is based on Cardinal Henry John Newman’s epic poem of the same name, which traces the journey of the soul from death to its arrival before the Throne of God in a vivid dramatization of Catholic theology. Along the way it explores some of the greatest questions of the human experience: what is our purpose? What is a good life? And what is the nature of God? But the score is so vividly drawn, and filled with such fascinating incidents and memorable characterizations that it never feels like a religious lesson or a string of platitudes. Unfortunately, the work is still something of a concert rarity in the US—quite a contrast to the situation in Britain, where it generally considered a national treasure, and performed almost with the same regularly as Handel’s Messiah is here. For listeners coming to a performance on this side of the pond, this represent a double-edged sword. On the one hand, they will be able to experience this lush, late-Romantic score completely fresh and without preconceptions. The danger is that because it is such a dense, many-layered score that some of its complexities will be lost. A while back, I ran across an interesting tidbit on my Facebook feed: Pierre Boulez’s list of the 10 greatest works of classical music in the 20th Century. Boulez, for those who aren’t immediately familiar with him, is a hugely influential/controversial composer, conductor, performer, and writer who has long been associated with the avantiest of avant-garde music. I was intrigued to read his top 10 list—as he was at the epicenter of 20th Century music, his insights are invaluable. But in looking them over, I found myself in disagreement with several of his choices. 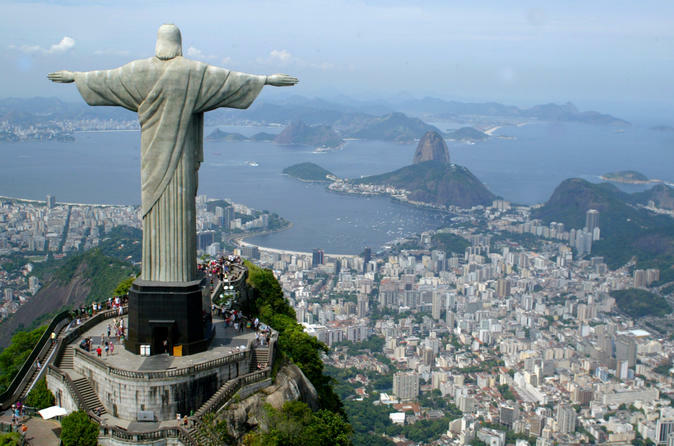 The Olympic Games are set to open in Rio de Janeiro—the first time a South American country is hosting them. In honor of this event, I wanted to share a bit of Brazilian culture. Brazil is, of course, a major musical center, and has contributed much to the world music scene. That said, Brazil is most famous for its popular music… dances like the samba or bossa nova. Brazil’s dance tradition is so magnificent, it’s easy to forget that it has made great contributions to the world of classical music, too. And while there have been many classically-trained composers over Brazil’s 500-year history, none has had the popularity or impact of Heitor Villa-Lobos. Villa-Lobos is a curious character, with a life of contradictions. He was essentially self-taught, and had a contentious relationship with standard music theory… yet he always aspired to write symphonies, concertos, string quartets, and Grand Opera. As a boy he scratched out a living as a street musician in Rio de Janiero but ultimately rose to become a national hero. He traveled extensively, but always kept Brazil in his heart. He was, quite simply, an original. Getting to know Villa-Lobos’s music is a bit of a challenge. He was incredibly prolific, writing more than 2,000 works before his death in 1959. Given the vast quantities of music, some works feel like they were dashed off in a careless rush or tossed off on deadline. Moreover, he had the reputation of being musically restless—choosing to jump to new works rather than edit those he finished. In this, he was the mirror opposite of his contemporary Jean Sibelius, who often revised his works so thoroughly that the works he ultimately published were quite different from those heard at the premiere. The result is that Villa-Lobos’s works can come off as sprawling, riotous and untamed. But that is exactly why they are so exciting. 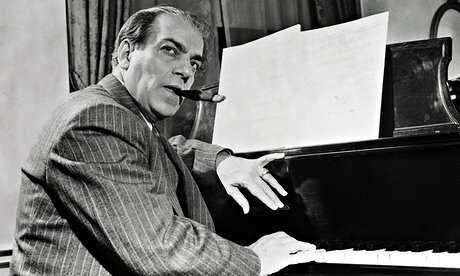 At his best, Villa-Lobos was a master of fusing classical forms with the sounds, rhythms, and instruments of Brazil. His music literally teems with the street sounds of Rio, from bird calls and African street music to the sound of traffic and vendor’s cries. It is music that explodes with vitality and resolutely refuses to be tamed. Moreover, he was brilliant at creating soundscapes… pulling sounds out of an orchestra that had never been heard before. Today I learned some sad news—the passing of Finnish composer Einojuhani Rautavaara at age 87. I’m saddened by the loss, as he was not just a brilliant composer, but one of my favorites. Long-time readers may remember that I’ve referenced his music many times here on my blog, and included his Angel of Light symphony on my list of the greatest works of the 20th century. I first ran across his music through a recording of his breakout hit, Symphony No. 7, Angel of Light. It was one of those gripping works that, while thoroughly modern, was written in a thoroughly approachable manner and contained a profound, palpable spirituality. I started tracking down other works, which was made easy by the heroic efforts of the Finnish label Ondine—a company committed to releasing recordings of his new works nearly as soon as the ink was dry on the page. As I’ve mentioned before, I had the good fortune to hear the world premiere of his Harp Concerto in 2000, performed by none other the Osmo Vänskä and the Minnesota Orchestra. It was Osmo’s first performance with the Orchestra, some years before being appointed Music Director. The inclusion of a world premiere by one of my favorite composers, coupled with a performance of Sibelius’s Sixth Symphony (one of my all-time favorite works of music) sealed the deal for me; even though I was living in Kansas at the time, I drove eight hours each way to hear the concert, and felt it was more than worth it.